Got a man cave that needs freshening? Here is the answer! 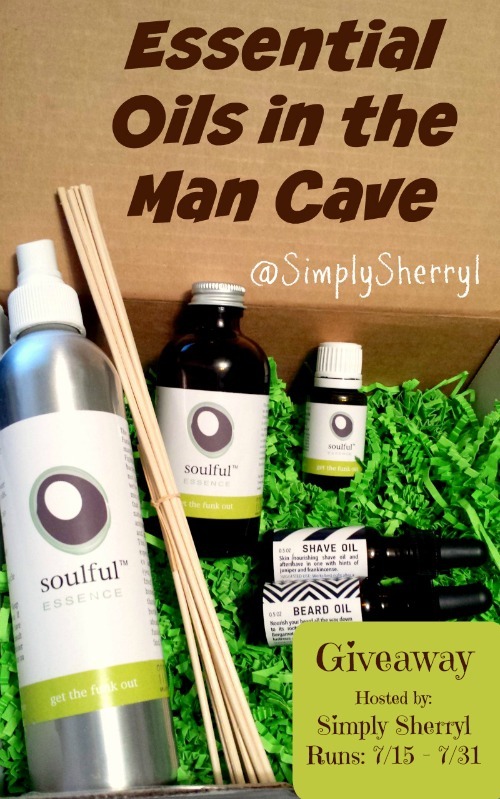 We are partnering with several bloggers to offer one reader an Essential Oils in the Man Cave Gift Set. Soulful Essence is a great company that offers several essential oil blends, in a variety of products such as the essential oils, reed diffusers, room sprays, roll-ons, and more. All of their products are made by hand in Miami, Florida, and they use recycled materials as much as possible. Plus, every product container is 100% recyclable too! Sherryl over at Simply Sherryl reviewed these products and you can read her article about using Essential Oils in the Man Cave for more ideas. So, whether you are looking to freshen up the Man Cave in your home, improve your mood after work, create a relaxing and peaceful environment for yourself and guests, you will find what you need with Soulful Essence. Don’t forget to check out their gift sets too, for a unique and thoughtful present for a friend or loved one to enjoy in their home. 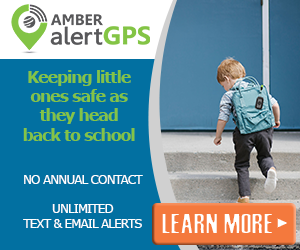 The giveaway ends on 07/31/15. Simply follow the Gleam entry form below for your chance to win. Be sure to return tomorrow and complete the daily entries! A Medic’s World was not compensated for this post. We are not associated with any of the companies named above. No purchase is necessary to enter. Void where prohibited by law. The odds of winning are based on the number of entries received Open to the US, 18+ only. Confirmed Winner(s) (by Random.org) will be contacted by email. Winner(s) have 24 hours to respond before a new winner is chosen. No purchase necessary. Void where prohibited by law. The sponsor(s) will be responsible for product shipment to winner(s) of this giveaway. My blog is not responsible for product shipment/delivery. This event is in no way administered, sponsored, or endorsed by, or associated with, Facebook and/or Twitter, Google, Pinterest, Instagram or Klout. This disclosure is done in accordance with the Federal Trade Commission 10 CFR, Part 255 Guides Concerning the Use of Endorsements. Entrants must only enter with either one email address, IP address and/or Facebook account, anyone found violating these rules will be disqualified. It is at the sole discretion of the admin of the giveaway if the winner has met the rules or not. I’d really like to try Get The Funk Out! Man Caves can get stinky!! get the funk out for certain rooms! I have one of those automatic air freshener sprayers set to go off every hour. While it helps mask the musk, it certainly doesn’t eliminate it. I need something stronger…something like Essential Oils! I had set up one of those automatic air fresheners that spray every hour. It seems to help but doesn’t fix the problem. I might go with Meditation Station! Sounds nice!